Librarians sign up for our monthly newsletter here!. Learn about show giveaways at BEA, ALA, ALAMW and more, the monthly Library Reads picks, and our featured titles! Reach over 40,000 librarians nationally with our monthly librarian newsletter! Feature your title for added discoverability or promote it just before a major library show. The newsletter is made up of author interviews, library profiles, spotlights and other stories of interest to the library industry as well as announcements for our next shows, giveaways and more. 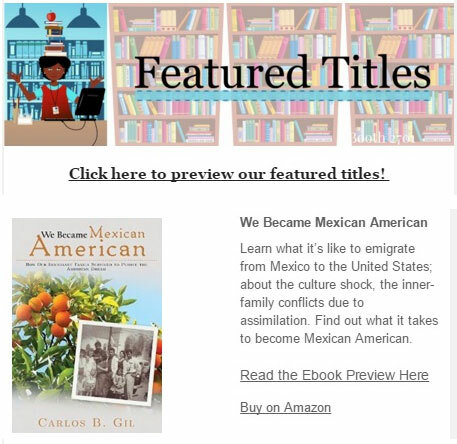 Authors can submit their book(s) to be included on our Featured Title Bookshelf which is linked from the newsletter itself and is a great way to promote books to librarians right in their inbox.